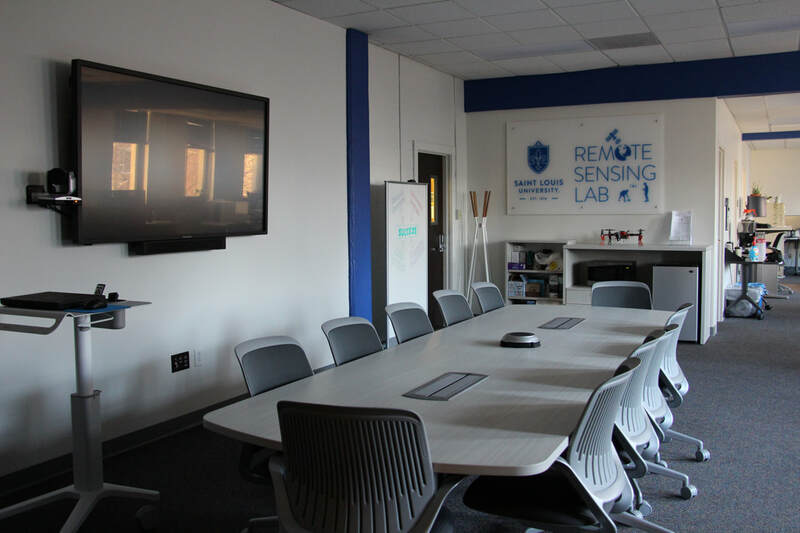 ​​Our lab located in Des Peres Hall 209 suite is equipped with a number of remote sensing instruments including a fleet of unmanned aerial systems, hyperspectral, thermal and multispectral cameras, a hand-held spectroradiometer, and airborne data calibration instrument. 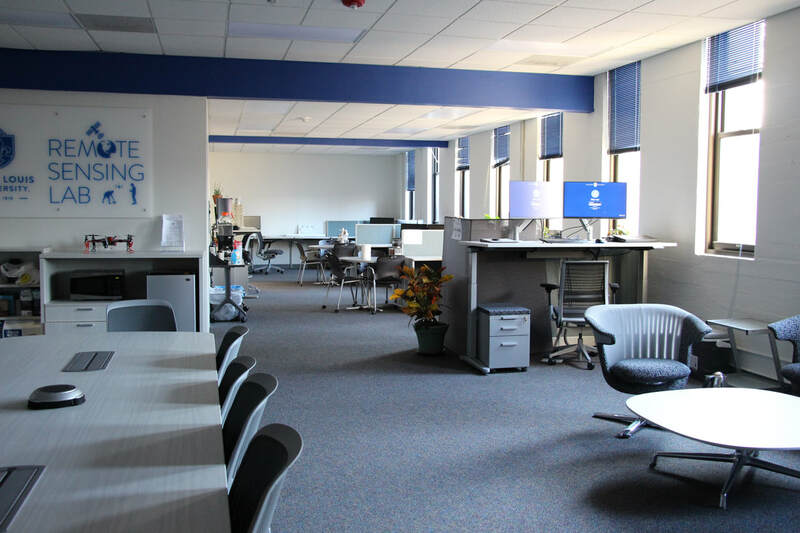 Software tools include latest version of ArcGIS, Trimble GPS, Pix4D, and ENVI+IDL with all modules (SARscape, Photogrammetry, Atmospheric Correction, etc). Parallel computing: three Dell Workstations with dual GPU (nVidia Quadro P6000), parallel computing CPU, 768GB RAM, 60TB solid state disk space. 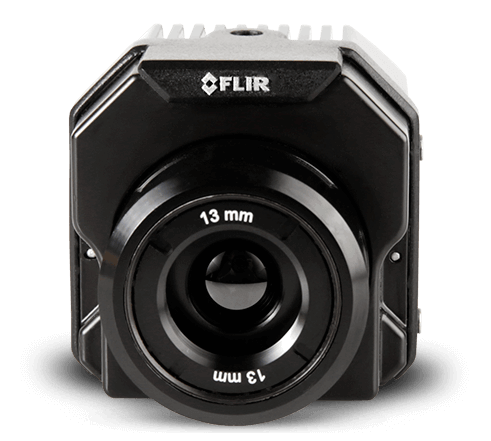 The Nano-Hyperspec® VNIR (400-1000nm) sensor is integrated on DJI Matrice 600 Pro with FLIR Vue Pro R thermal camera and APX-15 GPS/IMU. 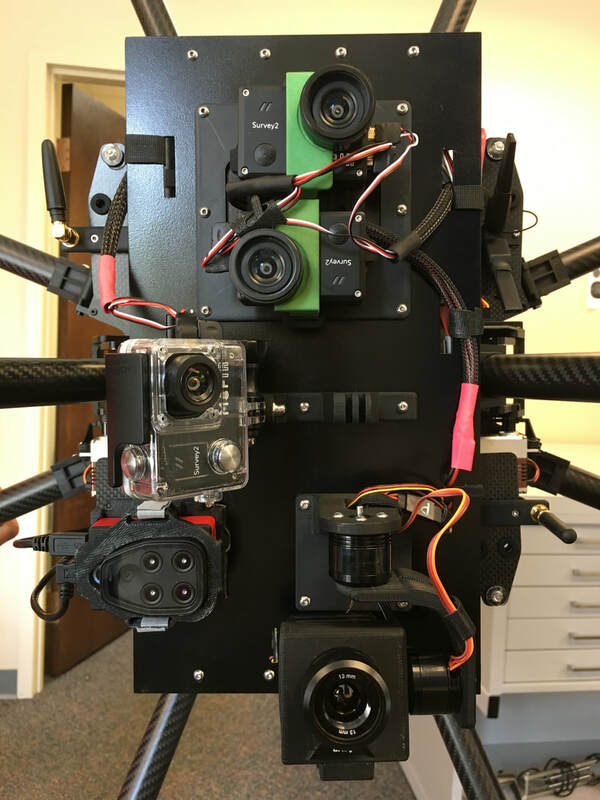 ﻿﻿﻿﻿Bayspec OCI-F-1000 hyperspectral camera, ICI thermal and Parrot Sequoia multispectral cameras are integrated to a multiroter system. 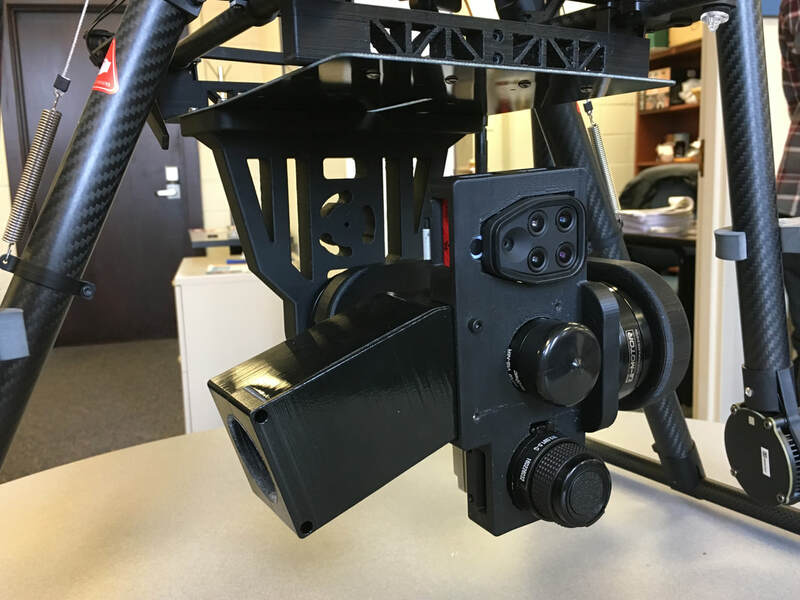 The gimbal was custom designed in-house and 3D printed by our students. 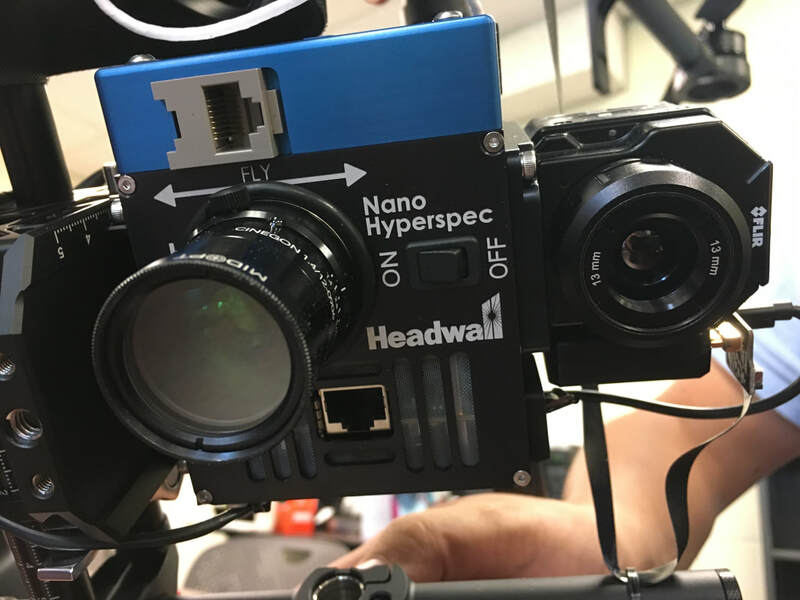 ​​OCI-F is a custom designed UAS hyperspectral camera from BaySpec Inc. (San Jose, CA) which has 230 bands from 400 nm to 1000 nm spectral range with 3-5 nm spectral resolution. 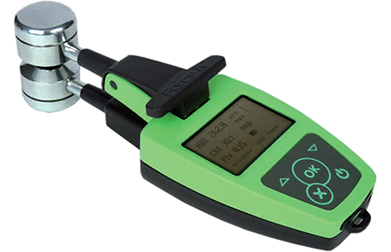 RROmesh is a compact, solar-powered, wireless system for in-field measurement of soil moisture, temperature, and other parameters. 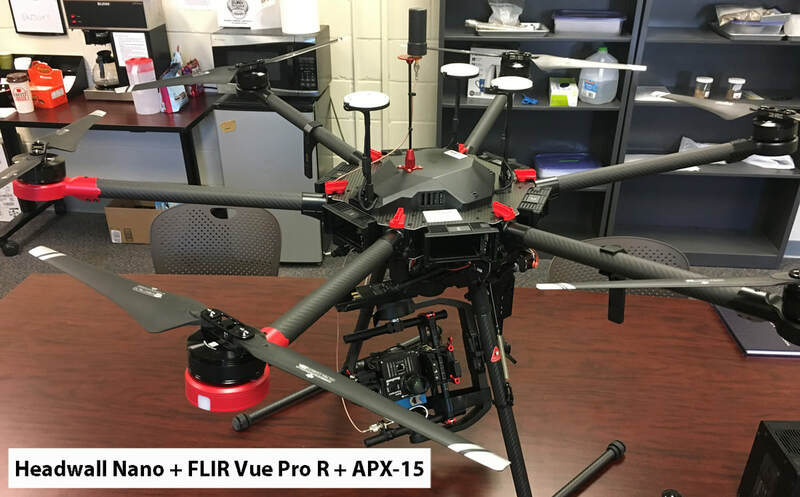 High resolution 32-channel LiDAR from Velodyne integrated on Matrice 600 Pro, very high resolution IMU/GNSS. 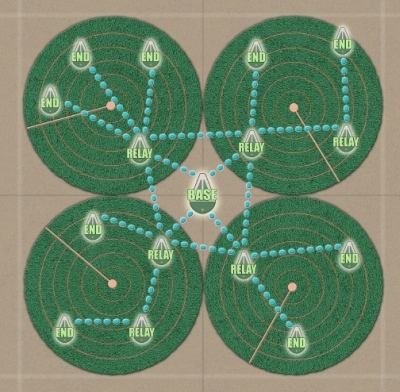 It weighs 2.4 kg, collects survey-grade data (700 thousand points per second) with an AGL range up to 65 m and features multi-target capacity with up to 2 target echoes per laser shot. 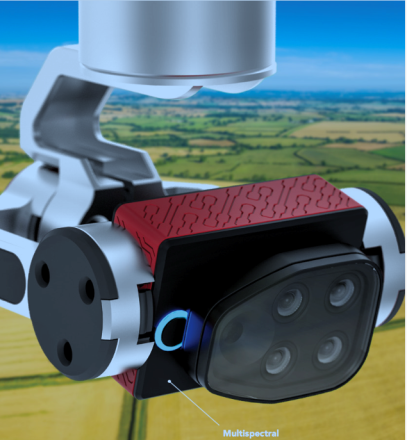 Parrot ﻿Sequoia﻿ is a ﻿small ﻿multispectral sensor. 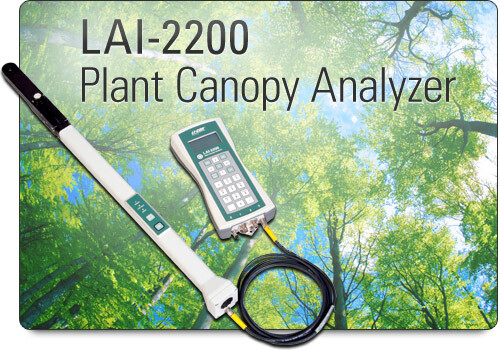 It captures 16MB visible (RGB) images and non-visible spectral (red edge and NIR) data that are ideal for monitoring crop health and vigor. 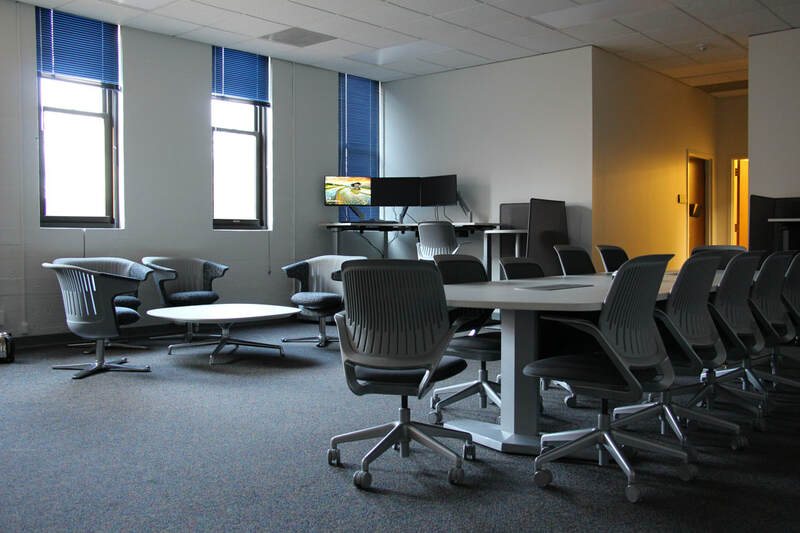 The lab has two multi-camera array systems integrated with five different imaging cameras: a thermal, a multispectral, a NDVI, and two RGB cameras. 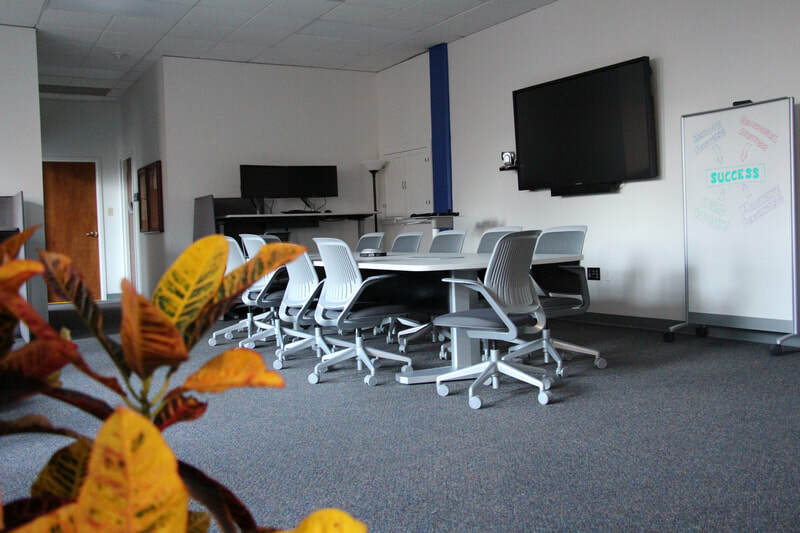 The RGB cameras mounted at different angles (nadir and 45°) which provides true ortho images, topography, and height. 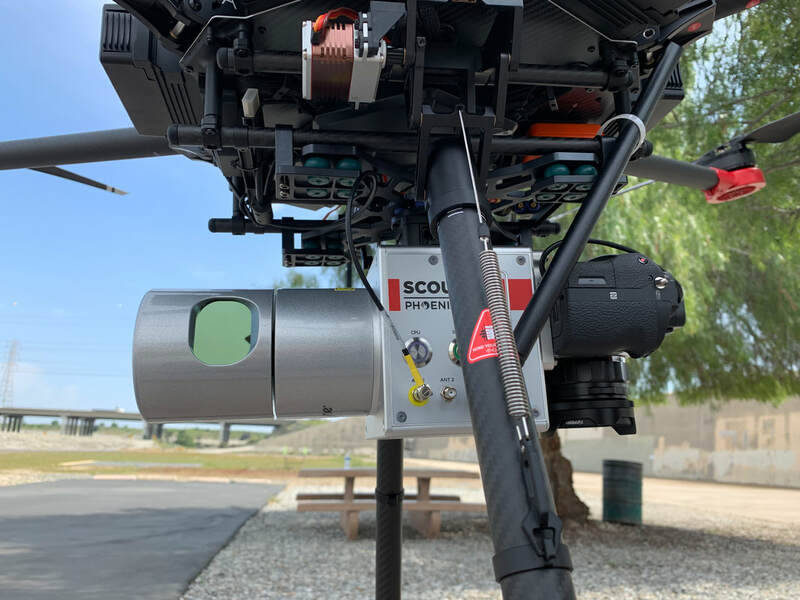 8640 P-Series | USB Thermal Imaging Infrared Camera, perfect for UAS applications, provides thermal radiance and temperature within +/- 1°C accuracy.